When I was growing up, I saw my dad get up every morning and read his Bible faithfully, and my mom would read her Bible in the afternoons and evenings. As a child, I saw that reading the Bible seemed to be an important habit to have, but it seemed like something that only grown-ups did. In Sunday school, I remember a friend talking about reading her Bible at home, but we were in fourth grade. I couldn't believe she did that on her own! I can remember learning about the all elusive quiet time in middle school youth group. Our youth minister (I'm looking at you, Tim Nussbaumer) highly emphasized that in order to walk with God and have a genuine relationship with Christ, we needed to daily spend time with Him in His word. We received journals and tools that would help us ask the right questions as we were encouraged to dig deeper on our own and to discuss the Word with others. It wasn't until late middle school and early high school when I really began to spend time in the Word on my own. Through reading the Word on my own and coming to it with a hungry appetite, the Lord began to use the Holy Spirit to teach me about my genuine need for Christ and my desperation for His guidance and forgiveness of my sins daily, not just to save me once and for all for an eternity with Him in heaven. Romans is still my favorite book of the New Testament because of the many ways that the Lord spoke to me through the apostle Paul as I learned to spend time with Him. I am a creature of habit- I need routine and love to make lists and check off my to-do's. The challenge for me is to keep my time with God fresh instead of another thing that I check off of my list for that day. One thing that I have a hard time forgetting not to neglect is the power of prayer when I approach the Word of God. Hebrews tells us that His word is living and active- that means that He can speak to me in any way He chooses when I come to Him, should I choose to listen. It is really easy for me to approach my time with God as a nonchalant thing that I just need to "get done" instead of remembering that His word is the bread of life that gives me the strength I need for each day. Lately, I've tried to begin my time with the Lord in prayer, asking Him to quiet my nearly always racing mind and to help me hear His voice above my worries, fears, and lies of the enemy. Back in the fall, Rory and I went to see The War Room. This movie challenged us greatly and helped us to remember the value of intentional prayer and time with God. If you haven't seen it yet, I highly recommend it. It not only teaches us to remember the importance of prayer and Bible reading, but also to realize that God is in control, no matter what. Going to bed on time the night before so that I can get up without a big fight the next morning. Praying before I get started so that my mind and heart are not as distracted. It's a real struggle, y'all. Listening to praise and worship music before, during, or after. It depends on the difficulty of the text I'm reading whether or not I include music, and sometimes I listen to an instrumental Pandora station. Having an accountability partner or just someone I talk with about what I'm reading. Right now that's my husband and a friend at work. Make a list of ten things I am grateful for or take ten looks at Christ. Pray and ask the Lord to quiet my mind. Do my chronological Bible reading of the day and make notes of what I think the Lord is trying to show me or things that stick out to me. Do my She Reads Truth reading-this is whatever plan they're currently doing; right now we're in Genesis. Pray for my needs of the day- each day of the week is dedicated to a different area of my life/people I want to pray for, there are some that I pray for daily. My Bible. Duh. I'm super old school in that I really don't like to read the Bible on a screen. I want to hold it in my hands and be able underline, circle, and make notes. My sweet husband bought me an ESV Journaling Bible a few months ago, and I absolutely love it. She Reads Truth: an incredible (free!!!) online resource for women with amazing reading plans. SRT also has a sister (brother?) website called He Reads Truth, so it is fun to talk with Rory about what he reads because they are on the same reading schedule. Give Me Jesus journal: I absolutely love journaling and writing the Word. It helps me to process and write things down, even if I don't go back and read them for quite some time. My friend Gretchen created this journal to help women enjoy getting in the Word, and it is a tool I've used for about two years now. I absolutely love it. Val Marie Prayer Journal: This journal is amazing; it is so well organized and easy to use. Each month, you write down your prayer needs for the world, our nation, your spouse and kids, and then there are blank spaces for you to fill in your own needs. What I love is the section for answered prayers, because it is so neat to see how the Lord works as we come to Him with our needs and trust Him to provide for us. Prayer Calendar: This tool has greatly helped me, as there is a specific Scripture to pray each day for my husband, kids, and myself. If you're single, you can pray for your future husband or another male figure in your life. I don't have kids yet, but I use that section to pray for my kids at school and girls who used to be in small groups I led in the past. My sweet friend Ms. Suzanne created this tool, and I love it. Go here to download the Scripture prayers; it's on the right side of the site. 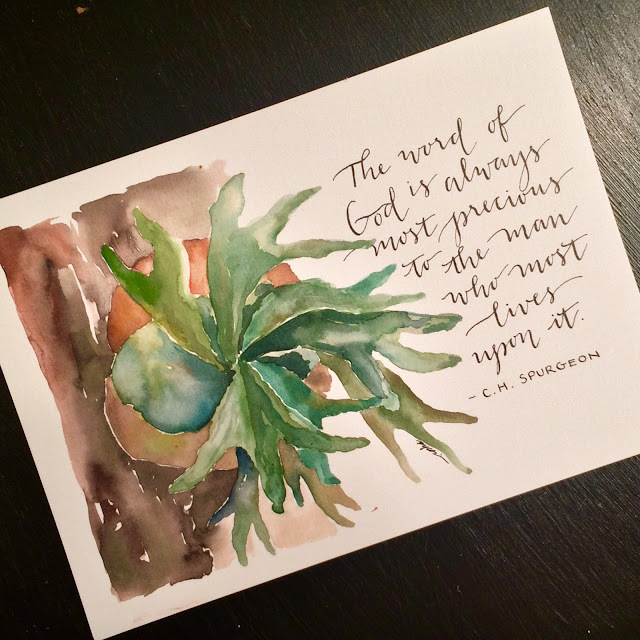 My sweet friend Gretchen, owner and creator of Life Lived Beautifully, has challenged her readers to get into the word every day this year and to hide God's word in our hearts by memorizing James. 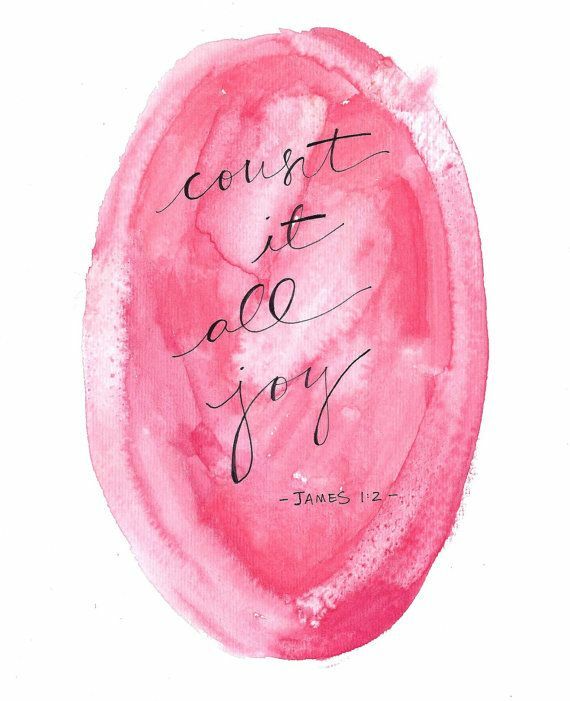 Memorizing James was already one of my goals this year, and then a couple weeks ago, an answer to prayer came when she posted a weekly schedule for memorizing the book, along with phone lock screens, too! I challenge you to hide God's word in your heart and jump on board with us, even if you'll be a little behind. I've found already that as I am working towards this goal of memorizing James with a sweet coworker and my mama, my mind has been so much clear. It's incredible what God's word does! Well, there you have it, friends. It is a passion of mine to encourage others to love God's word so that we can be equipped to share His good news and also to have clear minds and pure hearts. Today, if you leave a comment below, you will be entered to win a prayer journal and a Give Me Jesus journal! The random winner will be announced on Monday. Just share with me things that have worked for you, things that are a challenge for you, or questions about anything shared above! I'm looking forward to reading your insights! I have recently gotten a journaling Bible and am excited to start using it. I'm struggling though with a good way to capture my prayer requests/answers, so a prayer journal would be a helpful tool I think. Right now my prayer requests are kind of everywhere - scribbled on notes while at work, on the back of receipts, and in notes on my phone. LeeAnn, the prayer journal is so neat for that very reason-it keeps everything together and is really neat to use to track what God has done. It's encouraging to see we do a lot of the same things but I love to take away something new. The organized prayer journal seems wonderful and refreshing. I'm like LeeAnn with my scattered and sometimes overwhelming prayer life. Thanks for sharing! I bet you have some tips that you could share with me, too, Elizabeth! Thanks for reading and being such an encouragement. Two things that I have worked for me, being in college is having my Bible at my desk, to remind me to read it and just praying for God to give me a heart for Him, prayer, and His Word. One thing I am going to start doing is Bible journaling which I am really excited about! Thank you for your tips! I like that you have your Bible in a place where you can see it that reminds you to get into the Word. Good tip! I think intentionality is definitely a buzz word when it comes to quiet/devotional times. It is really easy to just let the time slip away. I love using the she reads truth app & first5 app in the morning. They help me start my mind off focusing on what I should instead of Facebook & Instagram. I've heard really good things about the first5 app and definitely want to check it out! I'm recently been struggling with a muddled mind when I wake up. All the thoughts from the day ahead and the crazy dreams I've had the night before are ll very distracting. I've had to start my time with prayer and really get all the thoughts out of my head before I can get into the Word but it's been a great help! Samantha, I can totally relate to your muddled mind. I have trouble quieting my mind, too! Prayer definitely helps and is sometimes my last resort, which is so backwards! What helps me with my quiet time is to keep things simple. I try not to read too many things during that time. Maybe a passage of scripture and devotional book. I pray before and during my reading and then journal what I feel the Lord is speaking to my heart. The first5 app is pretty good also. I like that you keep things simple and choose to do just a couple things well. Good word! Right now I'm trying to catch up with the taste and see challenge but I am gratful of God's grace that I get to spend as much time with Him as possible.For memorizing a book in the gospel, I'm contemplating which one I should choose....any suggestions? And lastly I love the prayer calander idea, and thank you so much for the download Jessica! I chose James because it is a shorter book of the Bible and one that packs a lot of punch, ha! Plus I had heard of others memorizing it and it just seemed to work. I highly recommend looking at the Taste and See Challenge James memory verse calendar: http://lifelivedbeautifully.com/blog/hiding-james-in-your-heart. It's been a huge help to me, and it doesn't matter when you start!